1. 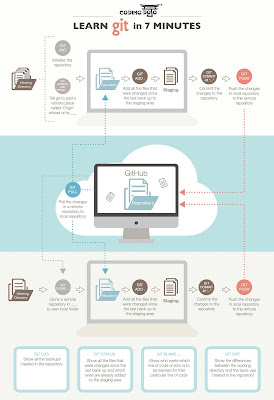 Let's find a folder you want to make a backup with Git or you can create a new one. This folder is called working directory. Here I created a folder "demo-git" and create new 3 text files in there. 3. Add files to staging area using command git add . 4. Commit your files into your local Git repository by using command git commit -m "Initial Commit"
Now you have a backup of your files in your local Git repository. This will show which files have been modified since the last commit. 6. Add modified files to staging area by command git add . Now you modified files are now in staging area and ready to commit. 8. Use command git commit -m "Updated File 2 and 3" to commit your changes to local Git repository. 9. If you use command git status again, it will say there's no more change to commit. 11. you can use command git show to display the changes from the last commit. 13. 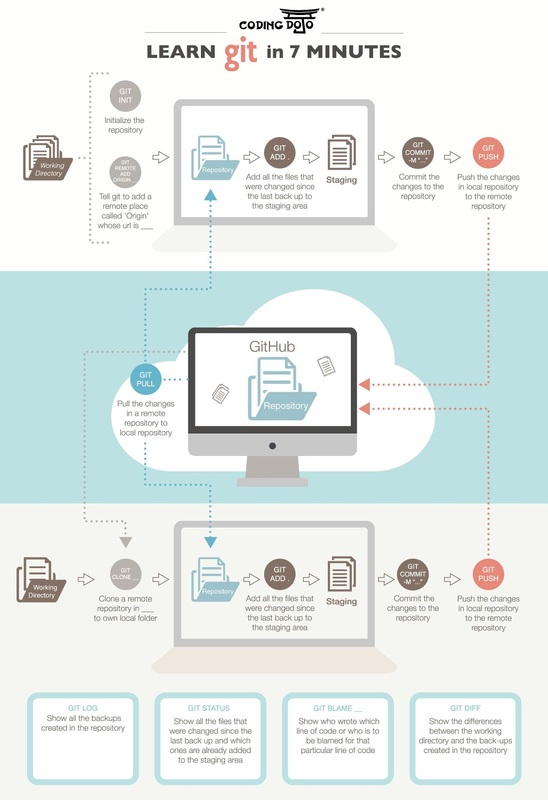 Next, you want to push your local repository into your remote repository so someone else can work on your files. 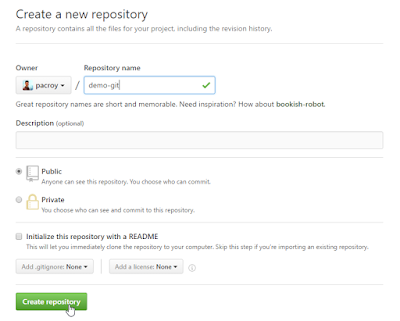 First thing is you need to create a new repository on GitHub (Sign up first if you don't have an account yet.). 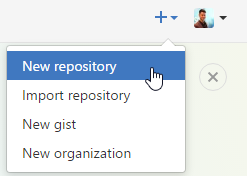 If you use command git status you will that your local repository is up-to-date with your remote repository. 19. Try to make some changes on GitHub. 21. 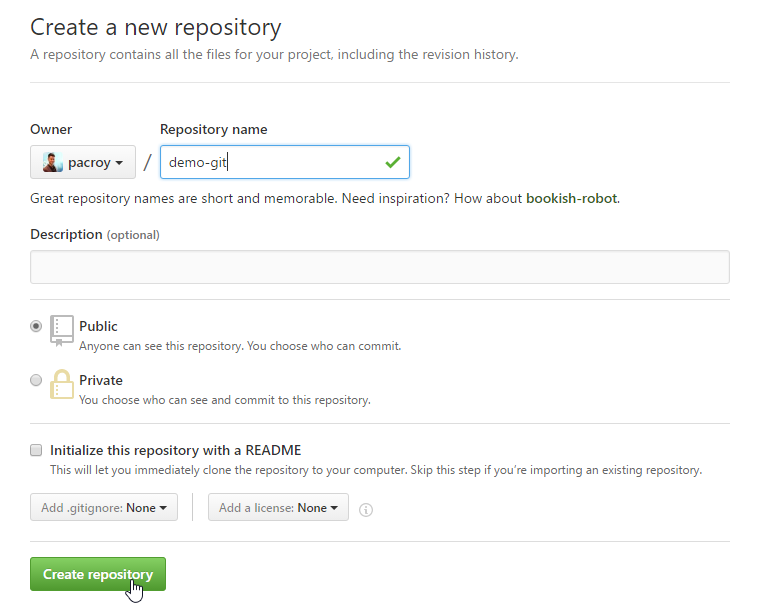 Use command git pull to load all changes from remote repository to your local repository.